I resolved my problem with AVI video files from the ZWO camera, oaCapture, and AutoStakkert. It turns out that they need a bit of conversion which AutoStakkert will do automatically. This requires that a FFmpeg executable is located in the same folder as the AutoStakkert executable. Although the seeing wasn't very good on my first captures for the ZWO ASI120MC, I had an AVI video capture that I was able to use to check this out. The Alpine Valley to Eudoxus taken from Austin, Texas, on 2017-04-03 11:35 PM CDT. 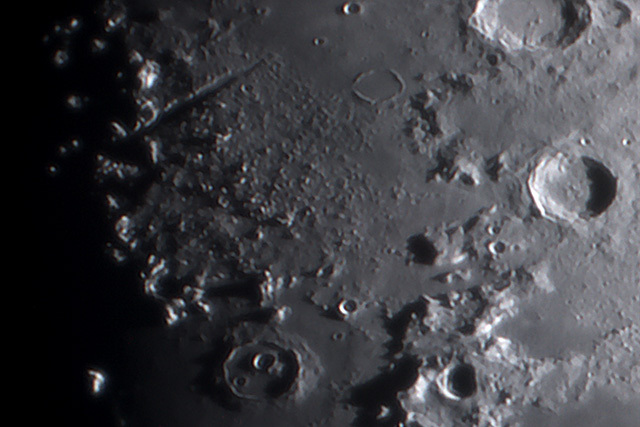 Questar 1350/89mm telescope, Dakin 2x Barlow lens, and ZWO ASI120MC planetary video camera. Exposure 61 msec and gain 61. Best 32 of 1000 images stacked in AutoStakkert! 2, deconvolved in Lynkeos, with final crop and exposure in Photoshop. My capture application, oaCapture, allows the images to be saved as a sequence of TIFF files as an alternative to an AVI movie file. Although it takes a bit more space, I prefer this option. TIFF format images can be used with almost any image processing application. It is easy to cull bad frames from the sequence. Amazon Prime offers free cloud backup storage for TIFF images. 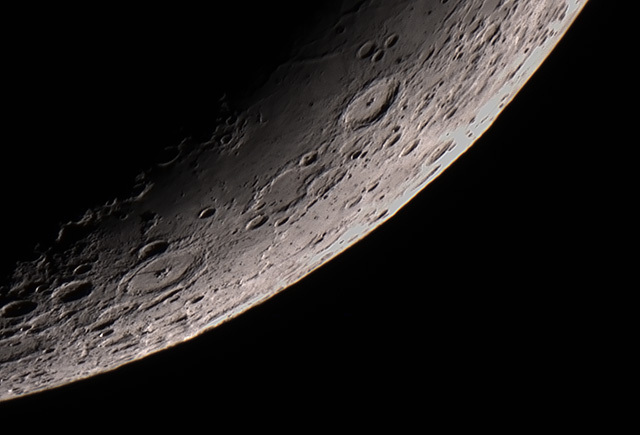 My first light image with the ZWO camera below was made from a sequence of TIFF images on 17-03-30.